SEOUL, Nov. 13 (Yonhap) — The sports ministry announced Tuesday that its joint investigation with the national Olympic committee into abuse allegations surrounding curling officials will begin next week. For three weeks starting next Monday, the ministry and the Korean Sport & Olympic Committee (KSOC) will look into charges raised by members of the national women’s curling team that they were subjected to unfair treatment and abuse by their head coach Kim Min-jung, her husband Jang Ban-seok and her father Kim Kyung-doo. 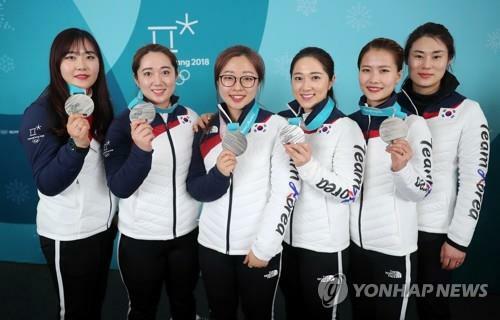 The women’s curling team, famously dubbed “Team Kim” after its skip Kim Eun-jung, won a silver medal at the PyeongChang Winter Olympics in February this year. The curlers are based in North Gyeongsang Province, and the province will also be a part of the investigation. According to the ministry, a special joint investigation team will be made up of two officials from the ministry, two from the province and three from the KSOC. Kim Min-jung was the head coach at the time. Kim Kyung-doo is a former vice president at the Korean Curling Federation (KCF), while Jang was head coach for South Korea’s mixed curling team at the PyeongChang Olympics. The two were also considered important contributors to the team’s success. But last Friday, the team of Kim Eun-jung, Kim Yeong-mi, Kim Seon-yeong, Kim Kyeong-ae and Kim Cho-hee sent a letter to the KSOC, claiming that their coaches tried to “privatize” the team, giving unreasonable orders to the athletes and damaging the team atmosphere. The curlers also said they endured verbal abuse from the coaches and didn’t receive the prize money earned from international competitions. The coaches have denied the curlers’ allegations.